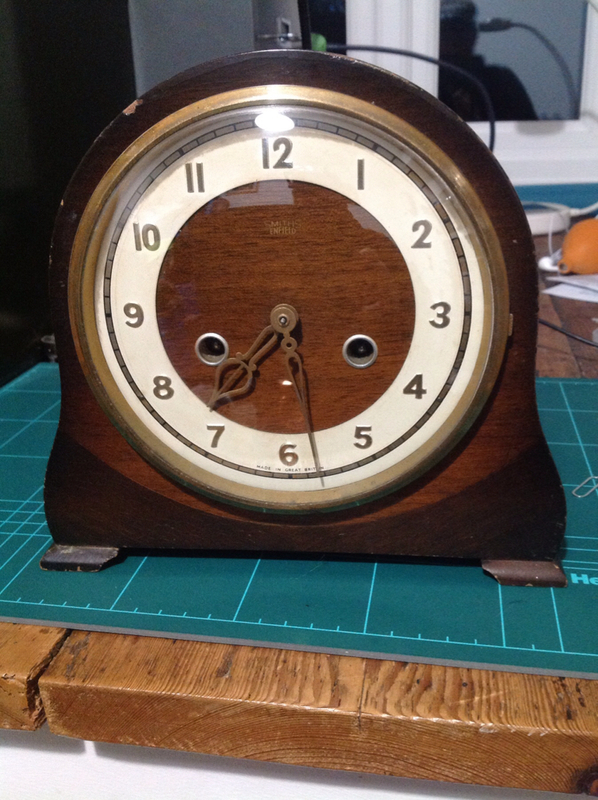 Sunday morning car boot find, Smith Enfield chiming clock, busted, non runner £3.00. Well I'm up for a challenge, the pendulum pivot Spring thing had broke, so a quick dremmel drill and an old screw from the watch box of things that I will never get round to fixing later, FIXED, put the pendulum on and hay presto nothing! Well it's fully wound up so I removed the pallet fork pivot thing and bingo of the thing goes spinning away time like no tomorrow, put all back together gave the pendulum a push and nothing. Two hours later leaning all about beat it sparks up and is running like a very old clock tick tocking away. £3.00 of Sunday afternoon fun. I love old clocks like this, sadly the dragon won't give them house room. Stage two is getting the chimes to work, the Mrs is going to love that! I wondered if you had the gong :). 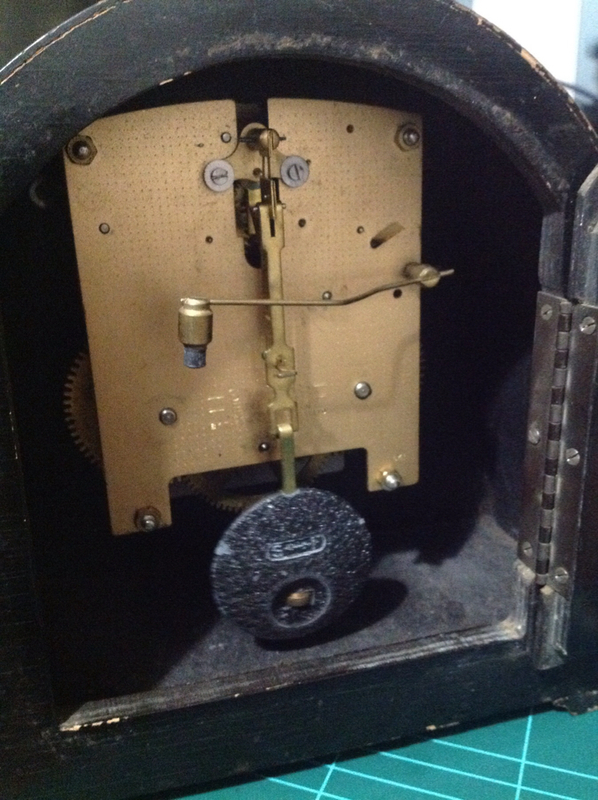 I have a very similar Smith’s clock, already working thankfully. I keep it in my office at work; it would have lasted no longer than 31 minutes at home . I’m impressed that you got it working so quickly. The dial, glass and hands look in very good nick. There should be a code for the month and year of manufacture on the movement, maybe at the bottom right. I’ve managed to get mine running +/- 20spd using the adjustment on the pendulum bob, and it will run for a couple of weeks on a wind. You might already be on MWR but if not there is a very helpful Smiths sub-forum. Please keep us updated, it’s fascinating seeing someone bring a clock back to life. It works perfectly; electric of course, and no chimes, but a lovely art decoish appeal.